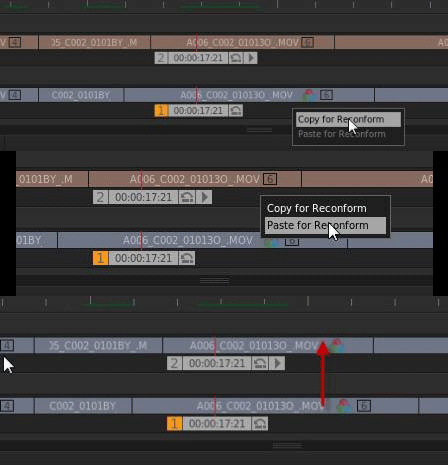 A little while back I posted on Adobe’s Speedgrade forum asking if they had any feature similar to Blackmagic Resolve’s ColorTrace, a tool that lets you transfer color grades from one version of your edit to another based on timecode. There is a tool available in Speedgrade which lets you reconform. Please note that this will only work with single video tracks. Timelines with multpile video/gradings layers could fail. This will transfer all gradings from TL1 to TL2. Hello, thanks for all the great information on FallenEmpire. I’m trying to work in Speed Grade but I’m having trouble getting it to read RMDs from REDCineX. Do you know a workflow to update the metadate for r3ds in SG? I’ve tried save rmd in RCX and then rebuild reel in SG, no luck…. Thanks for any thoughts. 1. Save your Speedgrade project. The save button in the upper left of the Speedgrade window. 2. Delete your timeline(s) in Speedgrade. Speedgrade saves current projects to a temp project so it shouldn’t affect the project saved in step 1. 4. Open the project saved in Step 1. These four steps should force Speedgrade to update any RMD settings.